As I mentioned in my last post we celebrated our daughter Lisa’s birthday this past weekend. Lisa had requested burgers for her birthday dinner, but I normally make a couple different kinds of meats on these celebrations. That way everyone is happy. 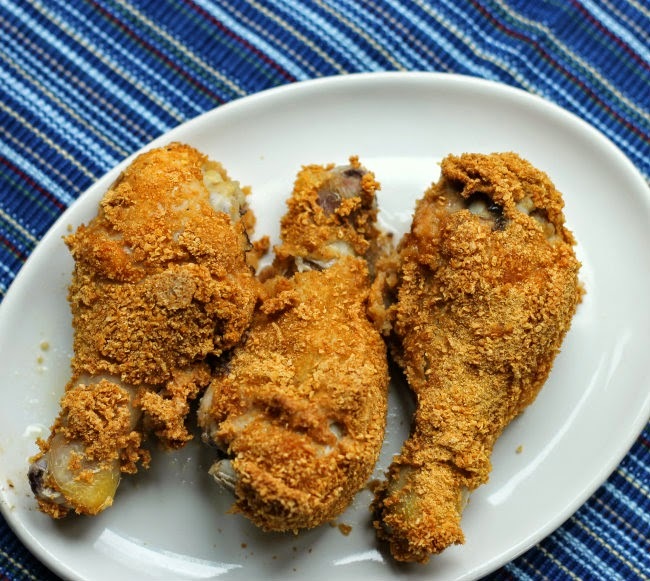 I really love making chicken on such an occasion, since it is quite inexpensive and there is always a new recipe out there waiting for me to make; such as the recipe that I am sharing today. I had a box of corn flakes crumbs sitting in the pantry from one of the occasions that we had at the house. I was in the pantry getting something and saw the box sitting on the shelf; I decided to take a look at it to see if there were any recipes that looked inspiring. I found this one for a crunchy coating; I am a big fan for crispy chicken, especially when it comes to baked chicken. The chicken turned out to be tender and juicy in the inside and nice and crunchy on the outside. 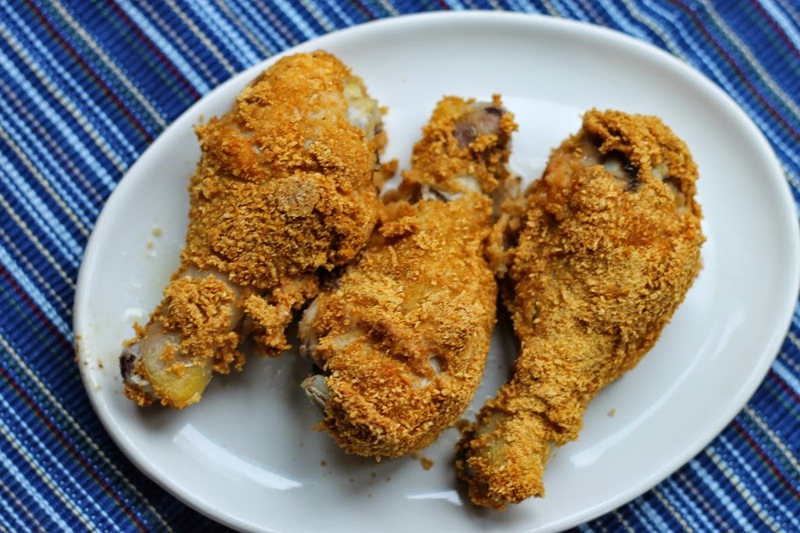 Corn flake crumbs are always a nice coating when it comes to chicken. I really liked this recipe and found it very easy to make. Plus as I mentioned it’s baked so that makes it even better. 1. Place crushed corn flake crumbs in a shallow bowl. 2. In a medium mixing bowl, beat egg and beer slightly, add flour, salt, and pepper, mix until smooth. 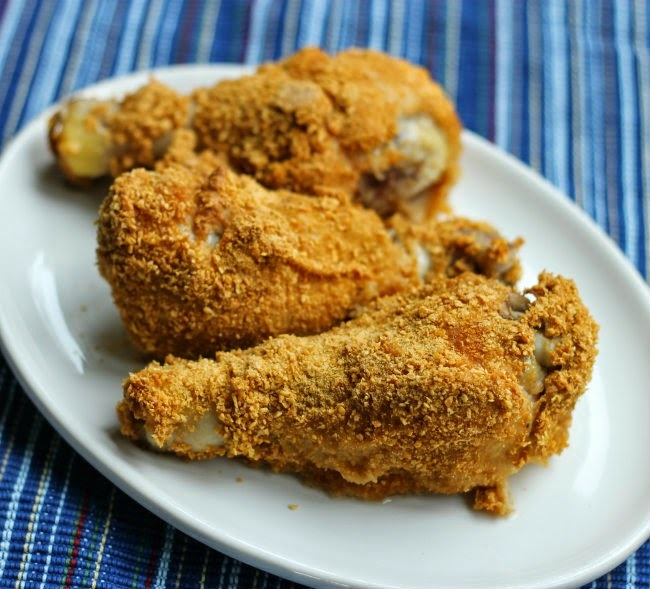 Dip chicken in batter and then coat chicken with the corn flake crumbs. Place the chicken in a shallow baking pan that has been line with aluminum foiled and sprayed with a non-stick cooking spray. 3. Place in a preheated 350 degree F oven. Bake for about an hour or until chicken is tender and juices run clear. 4. Do not cover pan or turn chicken while baking. Yes, this chicken sure look crunchy…I mean extra crunchy…since I do not have beer I might use milk…thanks for the recipe Dawn. Those outsides do look super crunchy! What a perfect extra crispy fried chicken! Wow! It’s nice. I love to enjoy reading new things about culinary and searching here and there that what are the new. Thanks for share. Extra crunchy means extra delicious to me. The chicken looks fabulous. Wow that looks amazing. And extra crispy is how we all love our chicken.